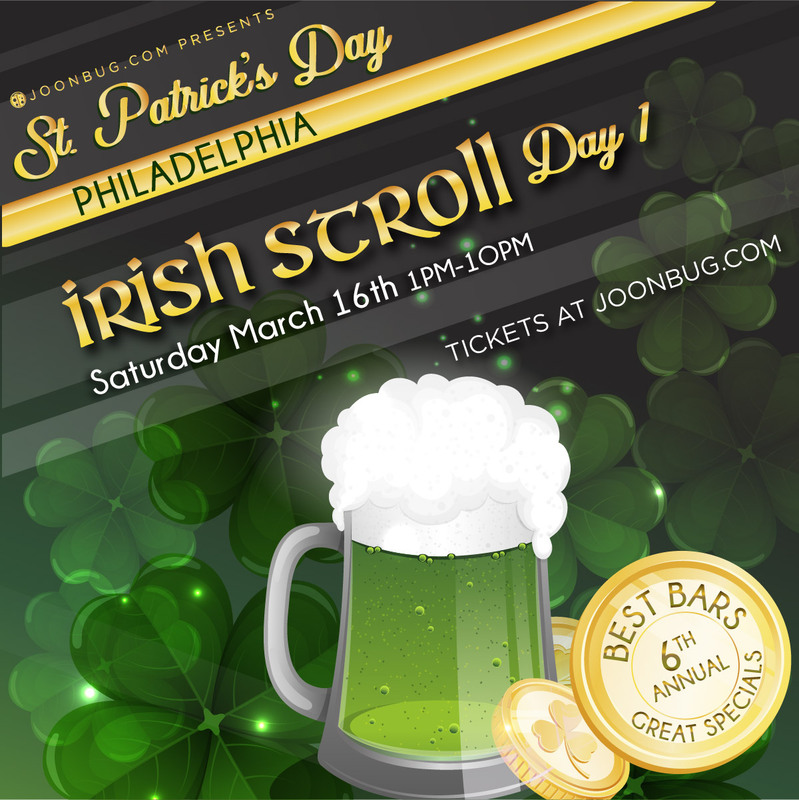 Philadelphia’s traveling clover rager has returned – it’s time for Day One of the St. Patrick’s Day Irish Stroll bar crawl. Forget cover fees – we’re saving you cash and bringing you parties all around Philly this St. Patrick’s Day weekend. Gather your pals and put on your green because Philly doesn’t kid around when it comes to the emerald holiday. Get ready to cheer “Sláinte!”, all day long, because it’s time for non-stop drink specials on the Irish Stroll. Let’s show Ireland we know how to make her proud on the Irish Stroll!